January happens to contain the birthdays of several defining Classical Period composers. As the first month of the year draws to a close, let’s take a retrospective look at some of history’s musical giants whose music eventually transformed into the pop we hear today. Think about classical music. What types of sounds are you hearing? Chances are, you are hearing elements of the Classical Period of music, one of the most influential eras of Western art music. The Classical Period lasted from the early 1700s to the 1800s and evolved as a response to the grandiose, embellished music style from the preceding Baroque Period. Classical composers rejected these ornate techniques in favor of simpler and lighter melodies. On top of that, musical forms such as the sonata, concerto, and symphony were developed, which kept music extremely organized. By establishing guidelines for these compositional formats, Classical composers left behind one of their greatest legacies, as composers today continue to follow these formats. Further, the combination of organization and clean melodies gave classical music its distinctly polished feeling. Technological advances paved the way for more musical expression as engineers perfected the piano’s dynamic range, eventually rendering the harpsichord—the piano’s less riveting cousin—obsolete. As a result, many classical composers took advantage of this new instrument and composed vast amounts of works for it. 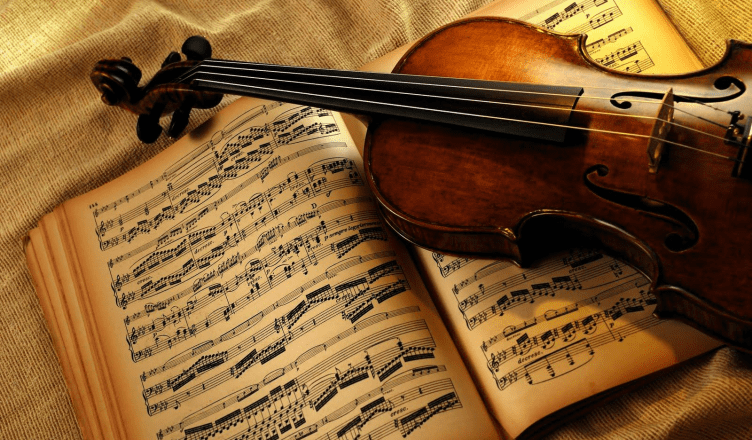 The Classical Period was a substantial time during the evolution of music. Coincidentally, the birthdays of some of the period’s most consequential composers happen to land in January. Thus, it seems apt to honor their anniversaries by celebrating the contributions they made to the music scene of their time. Born in Rome, Italy, Muzio Clementi showed a proclivity for music at a young age, becoming a professional church organist at only nine years old. At his father’s behest, he continued his musical education in England, establishing his career there for the remainder of his life. Clementi often slips under the radar amongst the more heavyweight classical composers such as Beethoven or Haydn. However, he has made many contributions to the musical world, especially with regard to improving upon and popularizing the piano as a legitimate instrument. Commonly called the “Father of the Piano,” Clementi in his heyday was, in fact, more renowned for his piano-manufacturing business than his music. Nevertheless, Clementi composed many works, including over 100 sonatas for the piano and several symphonies (although most of them have been lost over the centuries). As a teacher and professional performer, Clementi’s works span all difficulty levels; from the repetitive “Gradus ad Parnassum” that he used to train budding musicians, to his more virtuosic “Sonata in B-Flat Major, Op. 24 No. 2,” which showcases his love for incorporating blistering runs. Not limited to composing and manufacturing, Clementi eventually entered the publishing business and distributed music scores in London. Most notably, he managed to obtain full publishing and distribution rights to all of Ludwig van Beethoven’s works. This, along with his piano business, made Clementi quite wealthy, a memorable feat for a musician during his time. He retired in relative comfort until his death at 80 years of age. His pragmatic business skills and diverse portfolio made him a jack-of-all-trades figure in his time. Perhaps it is because of his relative plainness that we often gloss over his numerous contributions to the Classical Period. A man that needs no introduction, Mozart was — and still is — widely considered to be one of the greatest composers and musicians of all time. Born in Salzburg, Austria, he was a remarkable child prodigy. At just age five, Mozart could competently play both the violin and the keyboard. This is also when he began composing. At one point Mozart famously competed with Clementi, each of whom performed a series of their own compositions judged by Joseph II, the Emperor of Habsburg. While the competition ended in a tie, both Mozart and Clementi seemed to agree that Mozart was victorious. In fact, Mozart was quite critical of Clementi, calling him “a mere mechanicus” in his musicianship. Regardless, Mozart eventually warmed up to Clementi’s music, and even borrowed some of Clementi’s motifs in his future compositions as a sign of respect. Mozart died in 1791 after falling ill to an unknown disease, and, in spite of his elevated status, was buried in a fairly standard grave. However, due to his immense fame, many memorial services were held to honor him. Furthermore, book publishers scrambled to become the first company to sell Mozart’s biography. Although he had a brief life, Mozart’s unique talents quickly propelled him to the top echelons of the musical community, a position he continues to maintain centuries after his death. Born in Vienna, Austria much later into the Classical Period, Franz Schubert paved the way for the transition between the orderly music of the Classical Period to the emotionally riveting compositions of the Romantic Period. Like Mozart, Schubert died young at 31 years of age, yet he left behind an enormous repertoire spanning from vocal works and operas to chamber and symphony music. At age 16, Schubert studied to become a schoolteacher. This did not stop him from his music career, however, and he managed to become a performer for the Gesellschaft der Musikfreunde, an organization that promoted public awareness of music. It was during his time at this organization that his musicianship matured and he cemented his own compositional style. He gave his first and only public performance of his original works on March 26, 1828, the first anniversary of Beethoven’s death. Beethoven was a fervent supporter of Schubert, and believed his talents would draw the attention of everyone in the world. Unfortunately, this did not happen in Schubert’s lifetime. Later that year in 1828, Schubert succumbed to typhoid fever and died in relative obscurity. Nevertheless, he left behind a legacy of being one of the most experimental Classical Period composers, something that eased the music world’s progression into the Romantic era. Unlike the previous two composers, Schubert’s fame was largely posthumous. His works were performed by many Romantic Period performers such as Johannes Brahms and Franz Liszt, likely due to Schubert’s unique stylistic blend of Classical and Romantic elements. “Serenade,” one of his best-known works, exemplifies this amalgamation of sounds. The background accompaniment is metered and reminiscent of the Classical era style, yet a colorful, somber melody flutters above the accompaniment. This is strikingly different from the crisp melodies of Mozart and Clementi. Thus enter the Romantic elements, and with Schubert, many of his works intertwine emotion and music in a way that was almost inconceivable to composers of his past. These three composers were not only instrumental during the Classical Period; they are also interesting case studies into how music evolves over time. While it’s safe to say the works of Clementi, Mozart, and Schubert sound incredibly outdated, their music was as relevant to listeners back then as Ariana Grande or Adele are to us today. That begs the question: Who will be the Mozart — the defining musician — of our music era? While we will probably never know the answers to these questions in our own lifetimes, this does make us the arbitrators of music yet to come. So if you are ever distraught over the current state of hip-hop, electronic music, or whatever music genre you enjoy for that matter, keep complaining, and keep searching for unconventional artists on SoundCloud. The modern-day Schumann could be right under our noses.